Brilliant either as cello quartet or cello orchestra, top two parts are treble clef and difficult while lower two are somewhat less so. 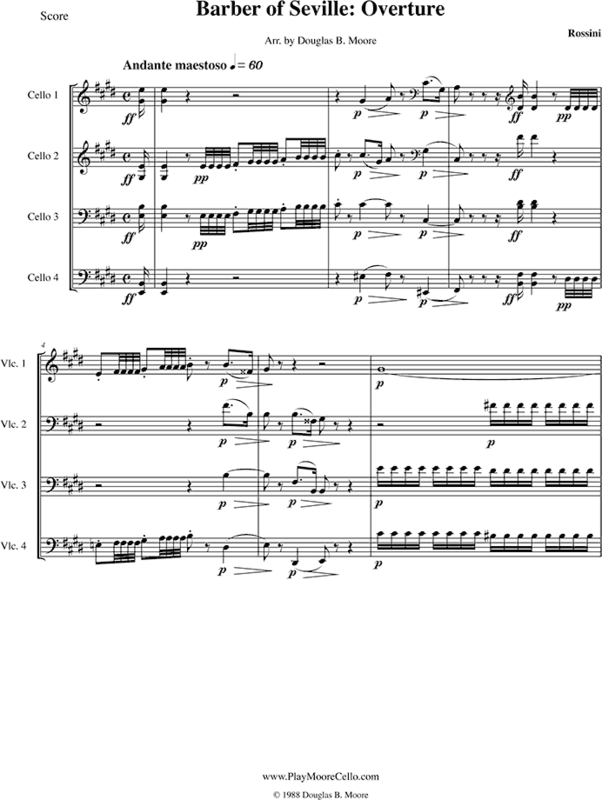 This arrangement has been recorded by the Saito Cello Ensemble of Japan and played by them at the World Cello Congress in St. Petersburg, Russia. It was played by the Saito school’s youth cello ensemble, the Toho Cello Ensemble, at the World Cello Congress in Baltimore in 2000. Recording is Allegro following the slow introduction. As Played by the Boston Cello Quartet on Youtube and included in their CD "Pictures" .